The set of magical Unicorn Wall Decals by Bunni provides an instant decor upgrade for your little one’s room or nursery wall. 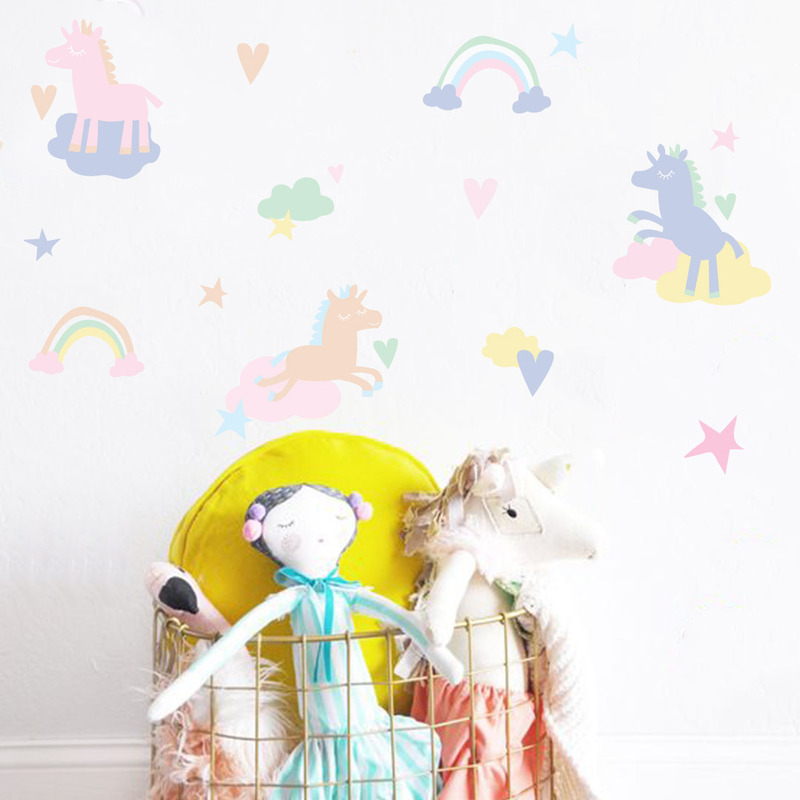 These gorgeous original decals feature happy jumping unicorns, rainbows, clouds and stars all in beautiful bright complementary colours. 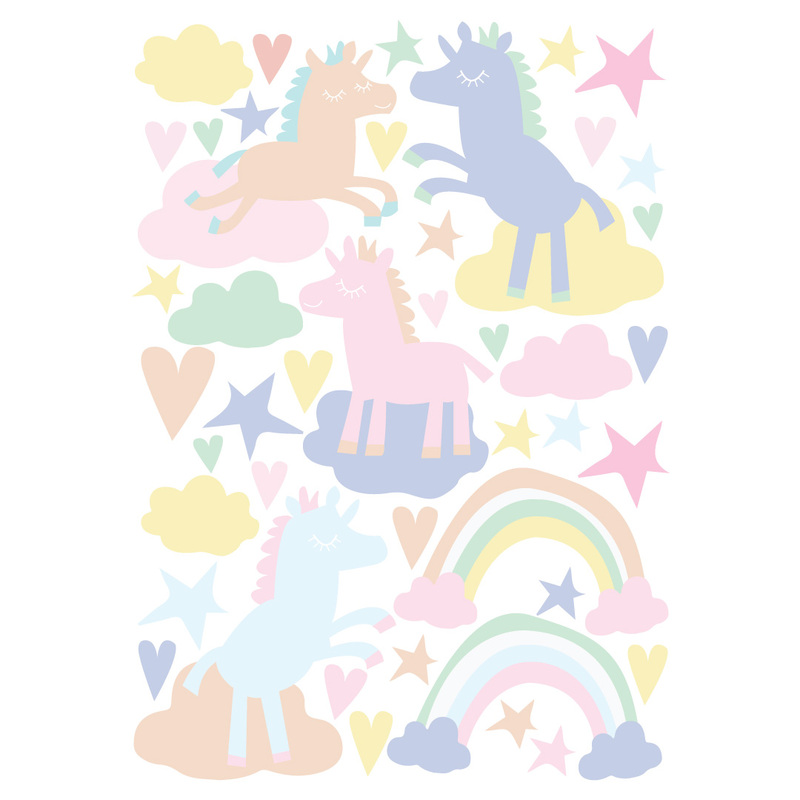 Even if you aren’t doing a unicorn themed room these adorable decals will add an element of fun to your wall space.